The days of Tom Brady are slowly winding down, which means it’s time to look ahead t0 the next class of superstar quarterbacks in the NFL. While the question of whether or not Manning would continue to play beyond his recent Super Bowl victory was the first defining story of the offseason (he ultimately retired), the time for both of these elite quarterbacks is, and was, respectively, coming to a close. You can fight Father Time all you want, but he’s inescapable. So, with that said, it’s time to look at the future and talk about the best up-and-coming quarterbacks in the NFL. Some of them have already hit that “elite” level, while others are slowly working their way there. Before we get into it, we’ll note that in order to make the cut, a player must be 26 years or younger at the time of this article. Let’s get to it. 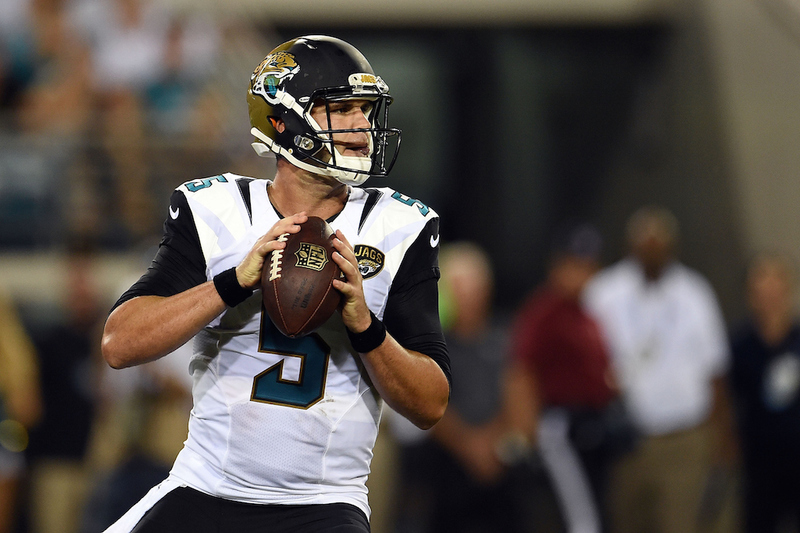 It was easy to be skeptical about Blake Bortles after his first season in the NFL. His 2014 campaign ended with just 2,908 yards, 11 touchdowns, and 17 interceptions. While he wasn’t able to improve his interceptions in 2015, the fact is, he only had 18 when he was tasked with throwing the ball 131 one more times. You can’t really ask for much more than that. To top it all off, Bortles really took the next step in terms of leading the Jaguars offense, as he threw for 4,428 yards (seventh in the NFL) and 35 touchdowns (tied for second in the NFL). Basically, Bortles upped his game in a big way. While the Jaguars may have finished with just a 5-11 record, they should be big spenders this offseason, and also have multiple offensive weapons for Bortles to work with. This includes the likes of Allen Robinson and Allen Hurns for starters. The future is bright for Bortles, and he should be one of the next superstars at the position. Derek Carr came in the same year as Bortles, so last season was just his second in the NFL. Fortunately, we saw a drastic improvement from one year to the next for him as well. 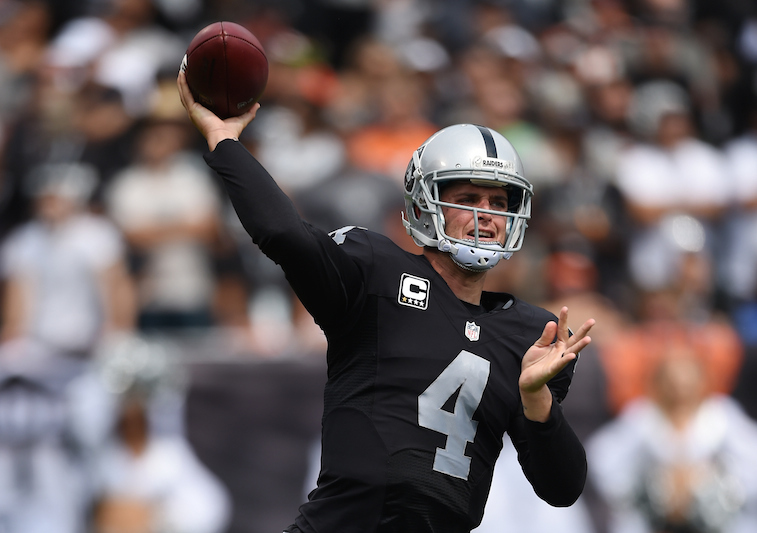 Carr actually threw the ball 26 fewer times, but had 717 more passing yards, 11 more touchdowns, and just one more interception than last season. It’s obvious that he was much more confident this past season, which is something that should continue heading into the 2016 season. Not only did Carr’s numbers improve, but he has consistent weapons in Amari Cooper and Michael Crabtree, and he also led his team to a 7-9 record. Could the Raiders make it back to the postseason in 2016? Don’t bet against it. It’s hard to evaluate a player after only one season, but based on pure leadership, Jameis Winston has the “it” factor. The Buccaneers got their man with the No. 1 pick back in the 2015 NFL draft, and while he had his fair share of ups and downs, he finished his rookie season with 28 combined touchdowns and 15 interceptions. His 4,042 passing yards were also impressive, proving that he can air it out and put the offense on his back when needed. Winston still has some on-field growing to do, but the talent is absolutely there. Just because injuries somewhat derailed his rookie season doesn’t mean he’s not more than deserving to be near the top of this list. 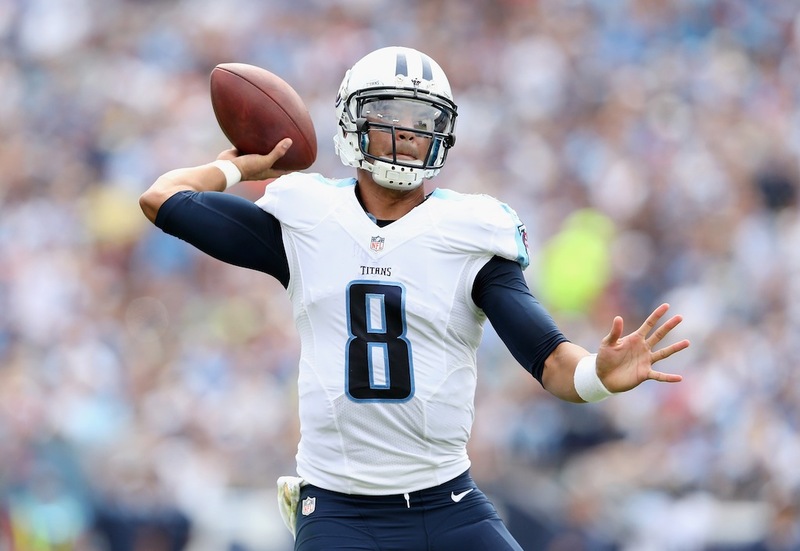 Marcus Mariota proved that he can beat teams with both his arm and his legs. While he rushed just 34 times for 252 yards and two scores during his rookie season, don’t be surprised to see him open up the field and rush more next year. Mariota played in just 12 games last season, but completed 62.2% of his passes for 2,818 yards, 19 touchdowns, and 10 interceptions. His biggest issue from his rookie year was probably the fumbling, as he did this 10 times and lost six. Mariota didn’t have the same weapons that Winston had to work with offensively, and honestly he had almost no consistent run game either. If the Titans can find weapons to pair with Mariota, they will be a dangerous team. Let’s not throw in the towel on Andrew Luck just yet, folks. Remember before the 2015 season started, when he was the top choice in your fantasy football league? Well, injuries and a slow start hurt him last season as he played in just seven games. During those games, he still threw for 1,881 yards and 15 touchdowns, but he also threw 12 interceptions. Luck and the Colts have plenty of weapons; they probably should have let him completely heal at the end of last season. Remember, this is a player who threw for 40 touchdowns in 2014, with 4,761 yards. Luck will be back, and he’ll return the Colts to the playoffs before you know it (probably in 2016). Could it be anyone other than the king of “dabbing” himself? Cam Newton proved just how elite he was in 2015, and at age 26, he barely was able to make this list. Fortunately, the young superstar quarterback made a statement to the NFL this past season with his play. Most impressively, he won the MVP and took his team to the Super Bowl without their No. 1 wide receiver. When Kelvin Benjamin went down with a torn ACL before the season, it meant that there would be even more on Newton going into the year. No. 1 responded by leading the Panthers to a 15-1 record, throwing for 35 touchdowns, rushing for 10 more scores, and putting up 4,473 combined passing and rushing yards. 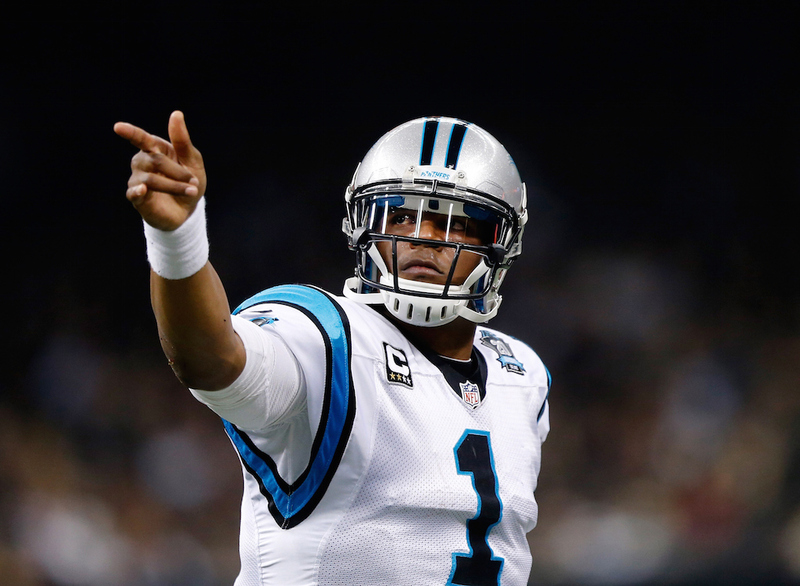 Newton was not just elite last season; he proved that he is the next superstar quarterback. While the Panthers fell short of actually winning the Super Bowl, there’s no reason to believe that Newton won’t bring this team to the big game sooner than later. Expect Cam to continue being Cam, which is a great thing for the Panthers. Statistics courtesy of ESPN.com or NFL.com.